Used for determining the sieve segregation resistance of self-compacting concrete. This method is not applicable to concrete containing fibres or lightweight aggregates. The set includes a 300 mm dia. 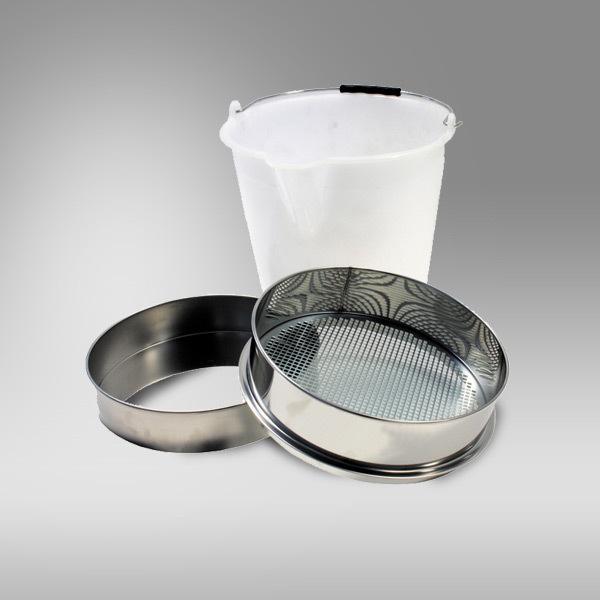 test sieve with perforated plate 5 mm opening, pan and plastic bucket 11 l cap.